If you have a wine lover in your life, wine-related presents are perfect for nearly every gift giving occasion. You can find an array of thoughtful wine gifts in all price ranges. A Wine aerator makes a great gift for the red wine lover in your life. It works well for reds that need a little time to breathe by quickly forcing air into the wine. Aerators come in a variety of styles. Some operate mechanically, while others are battery powered. Pricing starts around $15 and can go as high as $100, depending on the aerator you choose. The Vinturi Essential Wine Aerator shown here is priced under $25. The rabbit wine opener makes popping a cork a breeze. This set from Metrokane comes with a wine opener, drip ring, foil cutter, wax remover, wine preserver and a replacement worm. The system uses a simple lever that opens a bottle perfectly every time. Many people prefer the rabbit opener to other types of corkscrews. The set sells for around $50.00 and comes with a 10-year warranty. There are a number of wine reference books that can help wine lovers enrich their knowledge and enjoyment of wine. The World Atlas of Wine focuses on wine regions around the world and is priced from $50 to $100, depending on where you purchase it. The Wine Bible by Karen MacNeil - This book breaks wine down by country and region, and shares information about grapes and terroir. The price ranges from $15 to $50. Sotheby's Wine Encyclopedia by Tom Stevenson - The famous auction house provides a reference to the world's great wine regions. The price is about $40. Unquenchable by Natalie MacLean - The author provides a guide to some of the best bargain wines. The average price ranges from $5 to $10. An electric wine opener with a chiller serves two purposes. This $26 set from Oster will help you easily open your wine bottles using an electric wine bottle opener that comes with a rechargeable base. The set also includes a portable wine chiller, which makes it easy to take wine with you and keep it at the perfect temperature. Once a bottle of wine is open, you need to drink it quickly, or it will lose flavor. This happens because air becomes trapped in the bottle and oxidizes the wine. The Houdini wine preserver by Metrokane can extend the time you can store an open bottle of wine by about three or four days, which makes it a great gift. The vacuum pump removes excess air, and the stopper seals the bottle tightly so wine doesn't oxidize as quickly. The set is available for about $10.00. Maintaining the proper storage temperature for wine allows you to hold your wines in ideal conditions until you are ready to drink them. The Emerson Eight Bottle cooler fits neatly on a countertop and holds wine at the perfect temperature. It has digital temperature controls and a tempered glass door. The cost for this cooler runs between $60 and $80. Wine Enthusiast Eight Bottle Cooler - This cooler runs silently and has an interior touch screen digital display. The cost is approximately $140. Frigidaire Eight Bottle Wine Cooler - This cooler has digital temperature controls and slide out chrome shelving. It sells for about $100. The Cellar Nine Bottle Wine Cooler - This cooler holds nine bottles of wine and has a great, affordable price of about $50. Stemless wine glasses are growing in popularity. Without the stem, the glasses are easy to wash and store. Many are made in shapes that enhance your wine enjoyment by directing wine to the proper areas of the palate as you sip and moving the aromas up into your nose. The Reidel 'O' stemless wine glasses are made from fine Austrian crystal. They come in a variety of shapes for different grapes, and cost around $25.00 for two glasses. The glass shown here comes in a set of four that sells for about $50. A 12-month subscription to a wine magazine is the gift that keeps on giving throughout the year. Magazines like Wine Enthusiast ($30 for a one-year subscription) and Wine Spectator ($50 for a 14-month subscription) offer ratings, interviews with experts, information on vintages and regions, and perfect food pairings. A one-year subscription to Food & Wine is available for less than $25. Smarts WineParty Game Tasting Kit - This kit includes wine wrappers, wine tags, score pads, tips guide, and aroma and flavor tips. It retails for about $25. All You Need is Wine Blind Tasting Kit - This kit comes with tasting tip sheets, tasting notes sheets, numbered wine bags, wine glass tags, and pencils. It sells for about $30. Sometimes wine drinkers decide to open a bottle at the last minute, and it hasn't been properly chilled. Rapid wine chillers use icy water to cool a bottle of wine to 60 degrees in about one minute, which makes them great gifts for wine lovers. The Cooper Cooler costs about $80.00. Rapid Ice Wine Cooler - This model retails for about $40.00. Vin Podium Rapid Wine Chiller - This chiller runs about $65.00. Decanters offer an attractive way to aerate red wine. The wine is poured into a decanter, which increases the surface area of the wine and allows it to breathe quickly. Decanters come in a range of prices, from about $40 to $200. This attractive Luigi Bormioli Magnifico Decanter is priced under $30. Totes let wine drinkers take a bottle along with them in style. 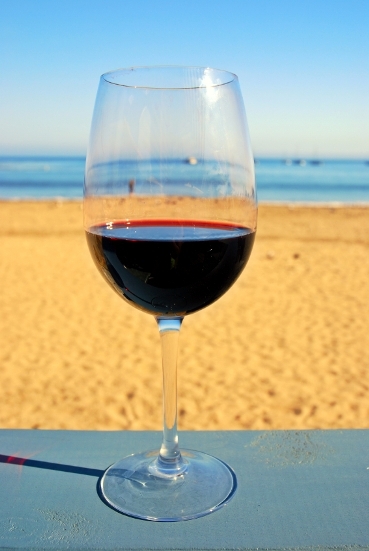 Many are made from materials that help maintain the wine's temperature while you travel. You can find totes in a variety of styles at prices ranging from about $15 to about $50. This origami tote from BuiltNY costs less than $20 and is a stylish gift for oenophiles. Decorative wine stoppers let you save wine after it has been opened with panache. Stoppers come in a wide variety of styles and themes, and they make a really affordable gift. This set of two glass seahorse stoppers is perfect for the ocean-lover in your life. Pottery Barn - This retailer carries a number of elegant stoppers priced between $15 and $20 on average. Home Wet Bar - The store has a fascinating collection of whimsical stoppers priced around $12 to $25 on average. There are a number of places where you can purchase wine gifts, and perhaps the best place to begin your search is your local wine shop. Wine sellers are typically wine enthusiasts who enjoy sharing their knowledge with others. They can be a great source of gift ideas, so be sure to stop in at your favorite wine shop and take a look at all the wine-related goodies they offer.